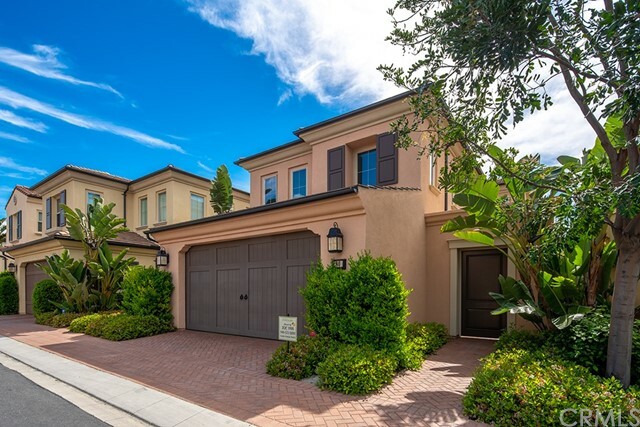 All Stonegate homes currently listed for sale in Irvine as of 04/19/2019 are shown below. You can change the search criteria at any time by pressing the 'Change Search' button below. 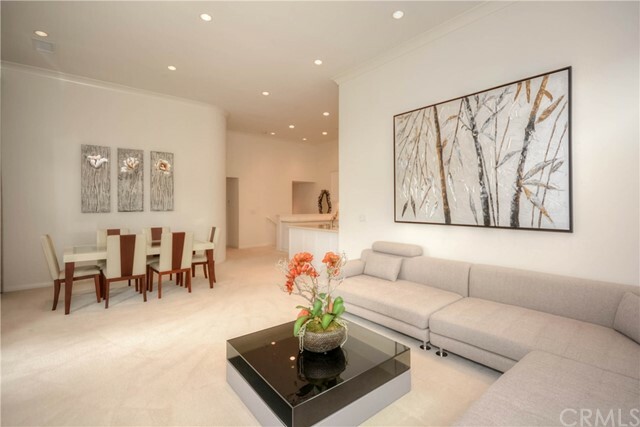 "This gorgeous and ultra-spacious single-family residence located in Stonegate. It sits adjacent to the landscaped common area, this elegance house features an open-style kitchen, dining room, great room, and California room. Rich Raised-panel cabinetry is complemented by granite countertops with splash, KitchenAid stainless steel appliances including 48 cooktop with griddle, 48 hood, 30 double convection oven, and built-in refrigerator. Generous Walk-in pantries give you plenty storage room. Downstairs bedroom with its own full bath is great full guests or extended family. The bonus room upstairs can be converted into an office or a space for kids to play and study. The breathtaking master suite has his and her walk-in closets, a spacious spa-inspired master bath with dual vanities and separate walk-in shower with built-in seat and heavy plate glass enclosure. The other two secondary bedrooms have their own full bath. Enjoy energy efficiency with solar system, dual tankless water heaters and dual zone heating and air conditioning. The garage door is also insulated. This is your new destination." "PRICE DROPPED!! Owner is very motivated! Lots of upgrades! Gorgeous home located on a Cul-De-Sac next to a community garden in Stonegate. This 2-story house was built in 2016, with 3167 sq ft of living spaces. Featuring 4 bedrooms and 4.5 bathrooms, including one bedroom and a full bathroom located downstairs. An open family room and dining room make this perfect for entertaining with wood floor downstairs and high-quality carpet upstairs. Enjoy the gourmet kitchen with KitchenAid brands and stainless steel appliances, large center island with breakfast bar. Large sliding doors access the wonderful private backyard, allowing a seamless indoor/outdoor space. Stonegate community is part of the Villages of Irvine offering residents parks, pools, spas, playground, plus sports courts and clubhouse. 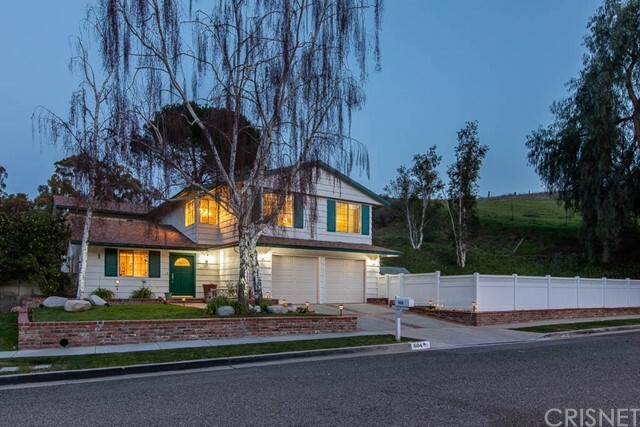 Walking distance to Blue Ribbon elementary school and Jeffrey Open Space Trail. Close to shopping centers and major freeways. Must see to appreciate!" 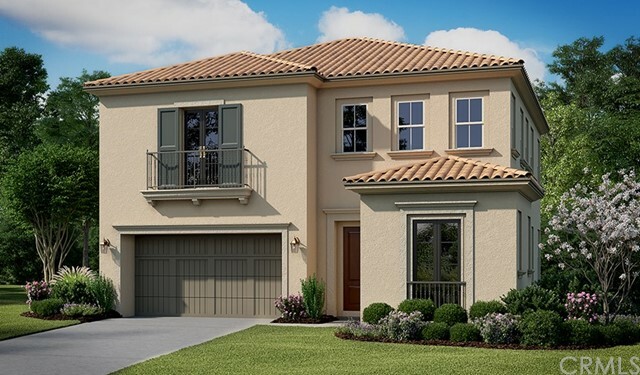 "Brand new home by Richmond American Homes located in the Master plan community of Eastwood in the Villages of Irvine. This home includes a large open great room that includes bi-folding glass doors that open to your backyard, Gourmet Kitchen with Stainless steel Monogram 36 Range-top, Stainless Steel hood, convection wall oven, and a large kitchen island. Also downstairs you will find a bedroom and a gallery entryway. Upstairs you have a loft, three bedrooms, one being a large master bedroom suite with a large walk-in closet, two sinks, bathtub and large walk in shower. This home includes many features, 8 foot tall doors throughout, recessed lighting, ceiling fan pre-wires throughout with plenty of natural lighting, and a covered patio plus new home energy efficiencies and warranty programs. This home is scheduled to be completed in Spring, 2019." "This is the ONE ! 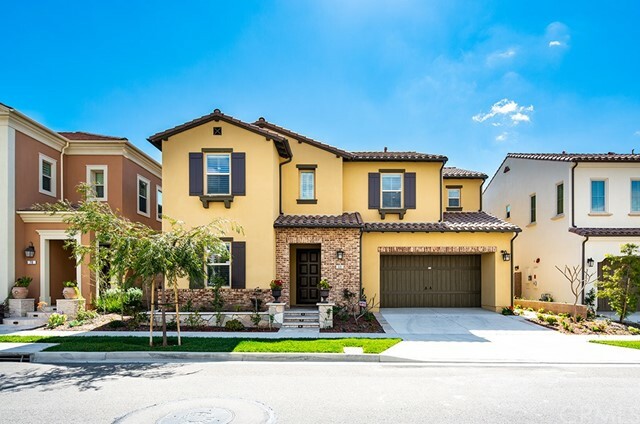 Built in 2015 Beautiful Corner Lot Two-Story Detached Single Family Home, Stonegate Mendocino Plan 2X next to Jeffrey Trail green belt with 3.5 miles length, This amazing house offers four spacious Bedrooms and 3 Baths . Gourmet Kitchen Features Over Sized Island, Granite Counter Tops , Stainless Steel Appliances include 5 Burner Gas ,Cooktop, Refrigerator, Oven, Microwave, & Dish Washer.This kitchen certainly will meet all your requirement for an ideal house kitchen. Attached two car garages has a lot custom-built cabinet . Community offers resort style amenities including parks , pools & spas, BBQ, basketball court, and tennis court.Surrounded by award-winning schools- Stonegate Elementary, Sierra Vista middle school and Northwood High school. Few minutes drive to all the shopping and restaurants of Woodbury Town Center and I-5 freeway. This is one that you CAN NOT MISS!!!" "Stonegate Village Comfort and Luxury - Built in 2013. Three Upstairs bedrooms, including the Luxurious Master Suite, and One Downstairs. Each bedroom features its own bathroon. This home is modern and sustainable, and offers many upgrades: Double Insulation, wood flooring with oversized baseboards, Premium white Plantation Shutters throughout, custom crown molding, recessed lighting, white Thermafoil cabinets, granite counter tops and matching backsplash, Rinnai tankless water heater, epoxy coated garage. The Backyard features custom pavers, professionally designed efficient landscape, automated lighting and water wise drip irrigation system for the planter beds and trees. 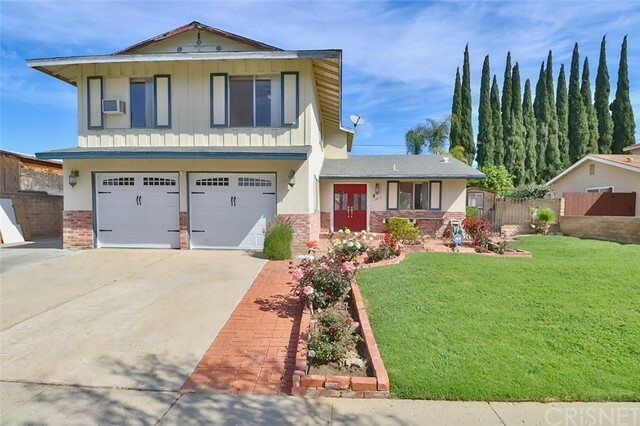 The location is Private and near trails and mountain views, and is also conveniently close to freeways and shopping. Enjoy all the comfort provided by the HOA: Pool with spas, tennis and basketball courts, and fields for soccer, baseball,softball,baseball, sand volleyball. Plenty of parks space with BBQ and picnic tables. Zoned for Stonegate Elementary, Jeffrey Trail Middle, and Northwood High." "This absolutely beautiful home is a highly popular floor plan in Stonegate offering 4 Bedrooms and 3 Baths. This floor plan offers desirable features such as oversized backyard with no one behind you, a nice sized dining area, contemporary kitchen with many upgrades include luxurious Hard wood floors, granite counter tops, stainless steel appliances and designer cabinets. Large upstairs master suite has dual vanities, bath tub, shower and walk-in closet. Build It Green Certified that promotes water & energy conservation. Community has seven private parks, basketball and tennis courts. 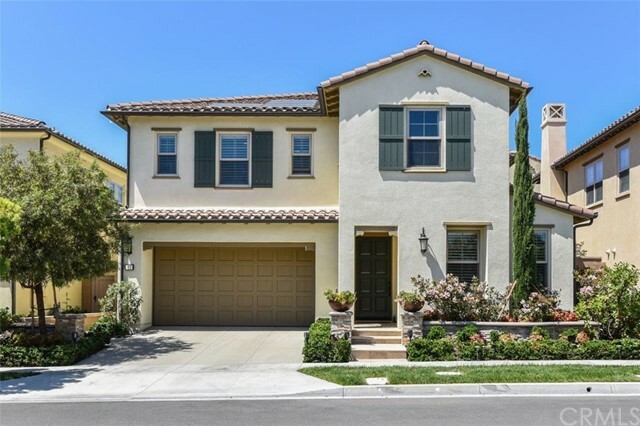 Close to award winning schools of the Irvine Unified School District: Stonegate Elementary(ranked #1 in Orange County by OC Register), Sierra Vista Middle School, Stonegate Elementary School and Northwood High School(ranked #25 by US News in 2016) , Live in Luxury!Enjoy the convenience of the Woodbury Town Center and Northwood Plaza Zion Market being located only a mile away. Hurry it won t last!" 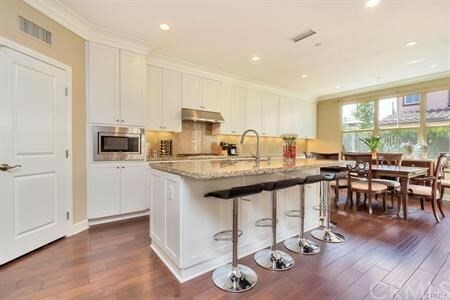 "Bright, Detached Home by Irvine Pacific in Saratoga neighborhood of the Village of Stonegate. This 4 bedroom + 3 bathroom home includes a main floor bedroom and bathroom with courtyard entrance . All bedrooms are well sized and bright. The open floor plan includes a large kitchen with an abundance of both cabinet and counter space. Builtin stainless steel appliances complete with microwave, dishwasher, 5 burner cooktop and oven The kitchen opens to the great room and dining area making this the perfect area to entertain. Other features included are neutral flooring, wood shutters, designer paint colors, and tankless water heater. 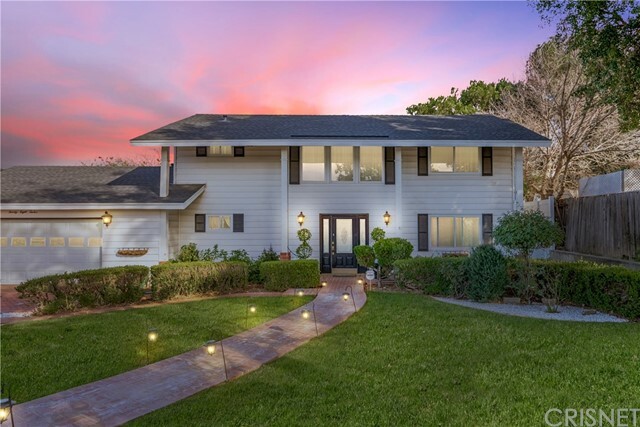 Just steps to blue ribbon Stonegate Elementary school (Ranked #1 in OC by OC Register) , Jeffrey Nature Trail and resort like amenities including pool and spa, tennis and sport courts and playground. Conveniently located near shopping, restaurants and freeway access." 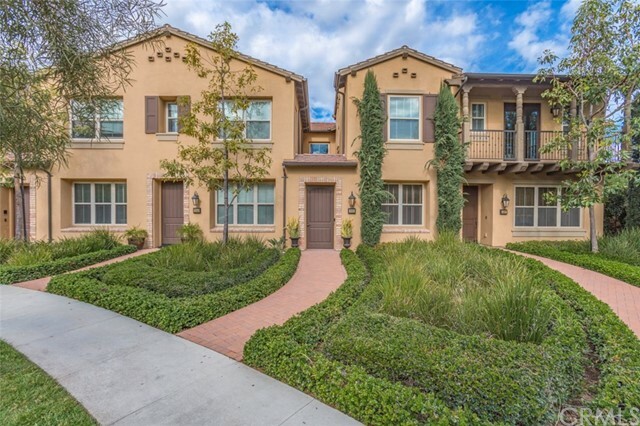 "Welcome home to San Mateo Residence 3 in Stonegate Village. 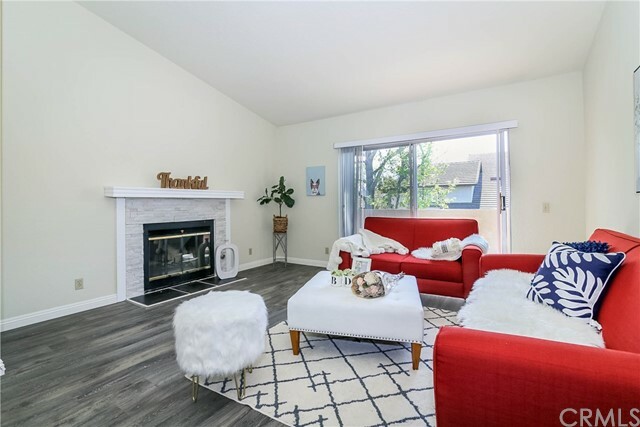 At nearly 1,900 SQ FT of living area, Residence 3 is one of the most popular and desirable floor plans in Stonegate because it is the largest in the San Mateo tract and is a Condo detached with no common walls. Vaulted ceiling at entry. House is ideally located next to the Jeffrey Trail Open Space for a short stroll during the mornings or evenings. This beautiful home is upgraded with luxurious flooring throughout, crown molding and designer selected paint. This innovative home design creates an indoor/outdoor lifestyle to entertain friends and family featuring a gourmet kitchen and causal dining flowing into a great room and an outdoor retreat. Bright with sunlight shining through every window, you will be embraced by comfortable amenities such as a large center kitchen island, lots of cabinets for storage, and ample space for kitchen counter-tops, built-in TechCenter desk, recessed lighting, and a separate shower and soaking tub in the Master Bath. . Assigned schools are Stonegate ES (Rating 9) Sierra Vista MS (Rating 9) and Northwood HS (Rating 9) all within few minutes of driving. Don t miss this opportunity to own in Stonegate! Enjoy abundance of resort-like community amenities: the junior Olympic pool, spa, sports courts, playgrounds, and clubhouse. 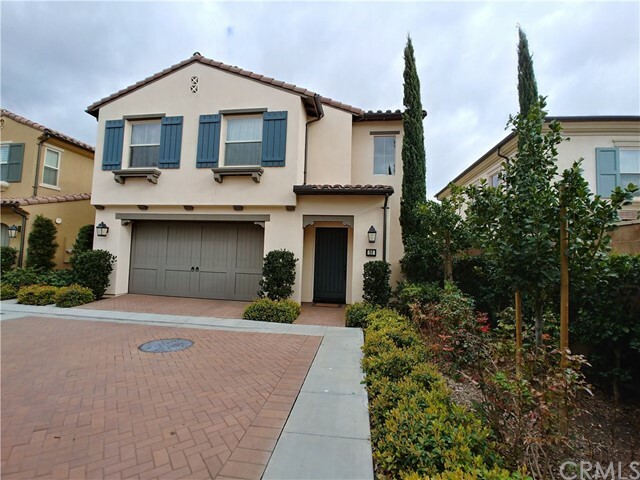 Close to Woodbury Town Center, the Market Place, Irvine Spectrum, the Great Park and much more." 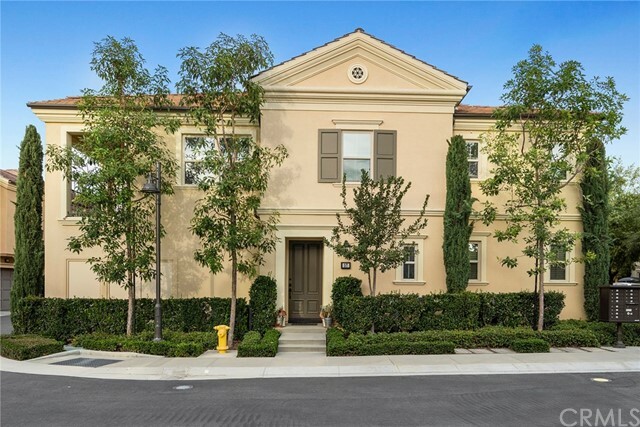 "Gorgeous turnkey Cambria Plan 1 residence nestled in the center of the Stonegate Village of Irvine. This beautiful home features 2 bedrooms with 2.5 baths plus an upstairs loft and has 1,533sf of living space. The home was built in 2014 and is one of the most tastefully upgraded homes on the market with a great open and spacious floor plan. Downstairs features a great room with the kitchen opening up to the family room and dining area along with a half bath and direct access to a 2-car garage. The kitchen has a large kitchen island, upgraded granite counter top & back splash, white shaker wood cabinets that extend to the ceiling, and stainless steel appliances. Upstairs is the loft, laundry room, and 2 spacious bedrooms with 2 full bathrooms with mountain views from bedroom and loft. The master bath has dual vanity sinks, large walk-in shower, and a walk-in closet. Additional upgrades include wood flooring downstairs, custom paint, recessed lighting throughout, neutral designer paint, custom window shades, crown moldings, and a professionally low-maintenance landscaped backyard. Enjoy resort-style amenities including clubhouses, junior Olympic pools, basketball courts, tennis courts, several pocket parks, tot lots, BBQ grills, and more. 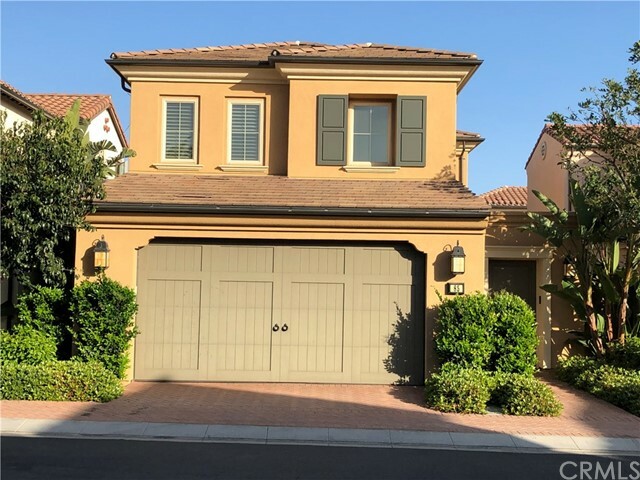 Located in the award-winning Irvine School District, zoned to Stonegate Elementary (within walking distance) and Northwood High School, and close to Woodbury Town Center, the Irvine Spectrum shopping center, and Irvine Great Park." "Expansive 2 bedroom/2 bath corner townhome with 12 foot ceilings and a beautiful view of the Saddleback mountain range. Highly desired single-level living /open floor plan with custom upgrades. The bedrooms have new carpet and there is brand new engineered wood flooring through out the rest of the home. The townhome was built by Irvine Pacific and is a Santa Clara Plan 2. The oversized kitchen has an island with breakfast bar for four, custom countertops and back splash, and top of the line Electrolux stainless steel appliances. The great room has amazing natural light. The laundry closet is conveniently on the main floor just off of the master bedroom. The home has a full size direct access double garage with additional storage. Stonegate offers Award-Winning blue ribbon schools and resort style amenities. Close to shopping and dining." "Gorgeous 2 bedroom 2.5 Bathrooms with extra Computer Office built in upstairs separate area is a Bonus. Single loaded street with no neighbors across the street. The home has Beautiful upgrades- Granite counter tops, Stainless Steel Appliances and Refrigerator and Washer Dryer included. Private Atrium area for barbecuing and furnished with outdoor furniture if wanted. Hardwood Floors downstairs, recessed lighting. 9 foot ceiling living room with crown molding. Attached 2-car garage. Just steps to Association Swimming Pool, Spa, tennis courts, and basketball court. 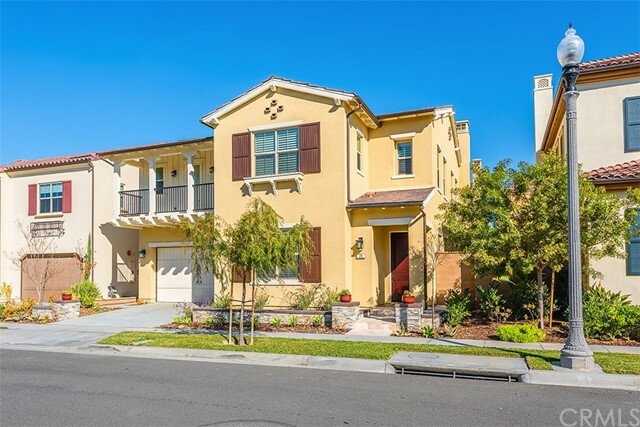 Located in one of Irvine's newer master planned community of Stonegate with numerous parks, schools and near local shopping centers." 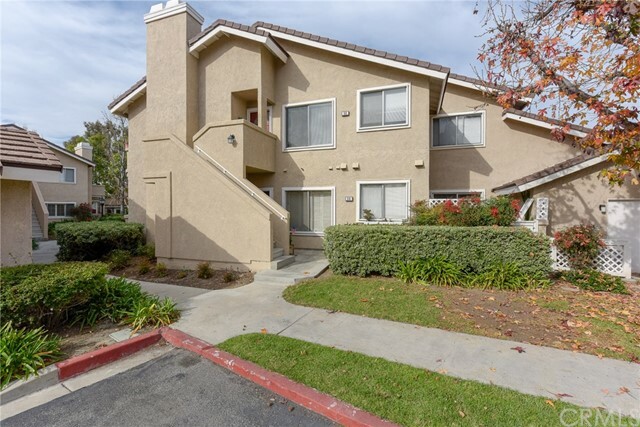 "This upgraded 3 bedroom 2 bath condo resides in the highly desired Stonegate Community of Irvine. This gorgeous two level condo with open floor plan, luxurious hardwood floors, stunning high ceilings letting in plenty of light, plush carpeting, and recessed lighting. The new kitchen features granite counter-tops, white cabinetry, and all stainless steel appliances. The office was converted to a third bedroom and is right across the first bathroom and other bedroom. The master bedroom is right down the hallway with an oversized shower, walk in closet, and vaulted ceilings with recessed lighting. The two car garage offers plenty of extra space and storage. WONDERFUL LOCATION that's close to so many amenities; 10/10 schools, Stonegate Elementary, Hummingbird Park, Jr Olympic Pool & Spa, Tot Lots, BBQs, Basketball courts, Tennis courts, Jeffrey Open Space Trail, Trader Joe's, multiple Starbucks, and Woodbury Town Center." 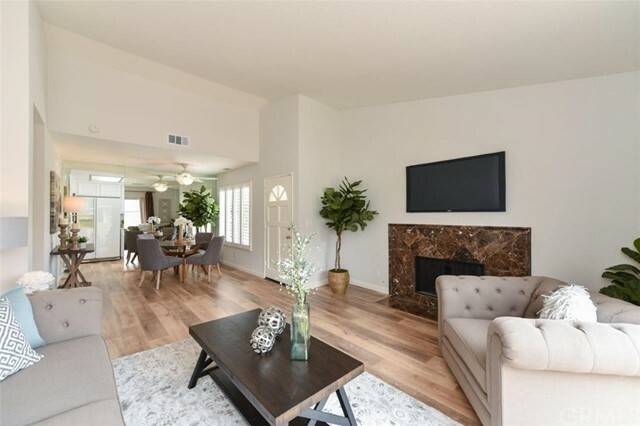 " RARE GEM SPACIOUS TOWNHOME IN PERFECT CONDITION This gorgeous home features 2 bedrooms and 2 baths with a living space of 1,322 Sq.Ft. Located in the prestigious Stonegate Community with amenities galore and award winning schools. This Light & Bright house is located at the end Corner unit. The formal living room with soaring ceilings and wall-to-wall windows, crown molding with an abundance of sunlight flowing through. Private balcony off the formal dining room. Modern chefs kitchen with quartz counter top, crisp white cabinets, recessed lighting, stainless steel appliances and built in breakfast bar. Plantation shutters and plush carpet throughout. Convenient inside laundry room. The spacious master suite with tray ceiling and walk in closet w/ private bath. Attached 2 car garage with direct access. Surrounded by great parks and Jeffrey walking trails. Hurry! Hurry!Hurry! This one wont last long!" "LOCATED AT THE END OF A PRIVATE CUL-DE-SAC THIS PRIME OVERSIZED LOT OPENS TO BEAUTIFUL CANYON VIEWS. WELCOME TO THIS PRIVATE OASIS NESTLED IN THE FOOTHILLS OF SIMI VALLEY. THIS MODEL PERFECT 6 BEDROOM, 3.5 BATHROOM HOME BOAST OVER 3,100 SQFT OF LIVING SPACE WITH AN 11,200 SQFT LOT. THE SPACIOUS OPEN FLOOR PLAN OFFERS AN UPDATED KITCHEN WITH CUSTOM CABINETS, GRANITE COUNTERTOPS, NEWER APPLIANCES & OPENS TO THE FORMAL DINING ROOM. THE WARM & INVITING LIVING ROOM IS PERFECTLY SITUATED IN THE CENTER OF THE HOUSE & OPENS TO THE FAMILY ROOM WHICH IS PERFECT FOR ENTERTAINING, COMPLETE WITH A STUNNING BRICK FIREPLACE, WETBAR, SITTING AREA AND 2 LARGE SLIDERS LEADING TO THE ENTERTAINERS REAR GROUNDS. THERE IS A BEDROOM CONVENIENTLY LOCATED DOWNSTAIRS AS WELL AS A POWDER ROOM. UPSTAIRS YOU WILL FIND A MASTER SUITE WITH UPDATED ENSUITE & NEWER CUSTOM SHOWER PLUS PLENTY OF CLOSET SPACE. DOWN THE HALL THERE ARE 2 ADDITIONAL SPACIOUS BEDROOMS ADJOINED WITH A JACK & JILL BATHROOM. THE OPEN LOFT IS PERFECT FOR A HOME OFFICE OR PLAYROOM. THERE ARE 2 ADDITIONAL BEDROOMS THAT SHARE A CENTRALLY LOCATED FULL BATH. THE ENTERTAINER'S REAR YARD HAS A LARGE COVERED PATIO, FIREPIT, SPA, HUGE GRASSY YARD & MULTIPLE SITTING AREAS PERFECT FOR FAMILY GATHERINGS. ADDITIONAL HIGHLIGHTS INCLUDE COPPER PLUMBING, TANKLESS WATER HEATER, NEWER ROOF (JAN 2018), DUAL A/C UNITS, WOOD FLOORS, LAUNDRY RM & RECESSED LIGHTING." 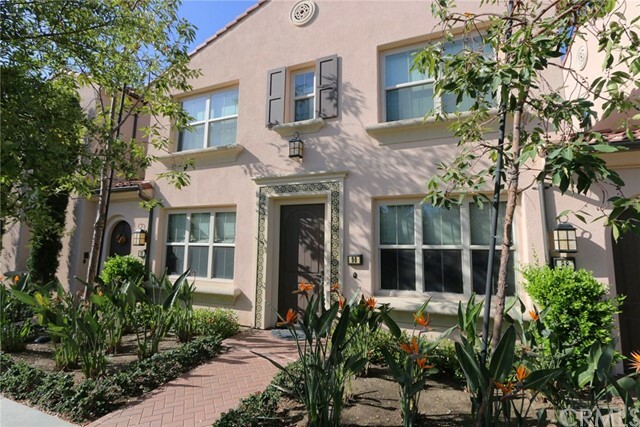 "A perfectly located Santa Clara Residence 3 in Stonegate. 57 Kempton is an impeccable residence and positioned on a premium end unit lot. This property offers amazing privacy. Welcoming steps invite you to a receiving entrance highlighted by a covered front door entry. Venture inside the home & find a spacious great room featuring a warm & intimate setting. Rediscover cooking in this chef-inspired kitchen which includes a breakfast bar and UPGRADED: granite counter tops, custom cabinetry, & stainless steel kitchen appliances. This amazing home offers wonderful indoor-outdoor living, perfect for relaxing & entertaining guests. Other upgrades: recessed lighting, tankless water heater, and California-style custom window coverings. Bright with sunlight shining through every window...inside you ll be embraced with designer custom painted and ultra-plush carpeting throughout the home. Relax on the outside patio and grab a cup of tea to read a book or have fun conversation with friends and family. Feeds into award winning schools of the Irvine Unified School District: Stonegate Elementary, Sierra Vista Middle School and Northwood High School. Live in Luxury!" 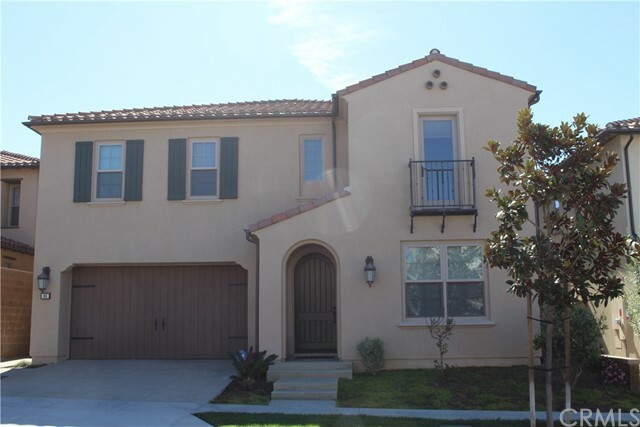 "Lowest priced 3-Bdr, 2 1/2 baths with 2-car garage home in Woodbridge Irvine. This upgraded 2 story three (3) bedrooms 2 1/2 baths townhouse with attached private two (2) car garage is in the heart of Woodbridge. New Flooring in first floor and New Carpet on second floor. Brand New stainless steel Dishwasher, Microwave, Stove and Refrigerator. LED Recessed Lights throughout. Private backyard between kitchen and garage. Award-winning schools; Springbrook Elementary, South Lake middle and Woodbridge High School. Fantastic Woodbridge resort-style amenities include 2 lakes with sand beach lagoons, boating & fishing, 20 pools, 20+ tennis courts, basketball, volleyball, playgrounds, parks, fitness course, and a multitude of family-friendly activities. 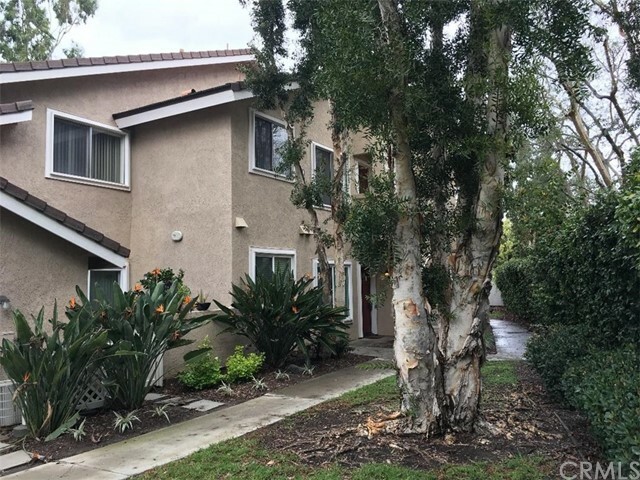 Conveniently located nearby Irvine Valley College, UCI, Irvine Spectrum, Irvine Market Place, and South Coast Plaza, 405, 5, 133 and many other freeways." "**MAJOR PRICE REDUCTION**INCREDIBLE DEAL**MOTIVATED SELLERS** Amazing colonial looking beauty is waiting for you!! 3 bedrooms PLUS a very large room(2 additional bedrooms may have been combined to form 1 large room prior to the sellers purchase)=4 potential bedrooms.A grand entrance presents oak parquet flooring with tile in baths & carpeting in bedrooms. Smooth ceilings, recessed lighting & built-in storage are a few of the features of this wonderful home.The formal living room with custom fireplace & crown molding await you on the right side of the home(sellers are currently using it as their formal dinning room).The spacious eat-in kitchen greets you beyond the foyer to the left.Open dinning area makes it easy to talk with others in the kitchen & family room.A custom oak fireplace to the ceiling & windows with beveled & etched glass in the family room have a great view of the backyard.New vinyl fencing was installed around all sides.Sellers are using the large room off the family room for the kids playroom.1 1/2 baths are downstairs & one of them has a 4-claw bathtub.Upstairs are 3 bedrooms & a full bath.The Nest thermostat is new, roof, AC & heating is newer.Ceiling fans w lights are in all of the bedrooms & family room.Cement work, custom brick work & artificial grass were added to enhance the huge backyard & complete the park-like setting for family & friends.Lots of room for kids to play! Large enough to add a pool :) **RV potential** Hurry this is one special home!!" "Welcome to this 5 bedroom, 2.5 bath, 1,818 sqft home on a cul-de-sac street & close to schools, parks, shopping, restaurants, hiking and biking trails & movie theaters. This home features a completely remodeled kitchen with granite, stainless appliances, range hood and oversized double sink, center island, 6 burner cooktop, 2 built-in ovens, built-in microwave, dishwasher, trash compacter, built-in fridge and custom cabinets with under cabinet lighting. Other features include a downstairs bedroom, wood, carpet and tile flooring, recessed lighting, remodeled bathrooms, upgraded lighting / electrical, upstairs loft, ceiling fans, mountain views, large back yard with shed, built-in BBQ, mature palm trees, planters, firepit & RV area." "Great location! 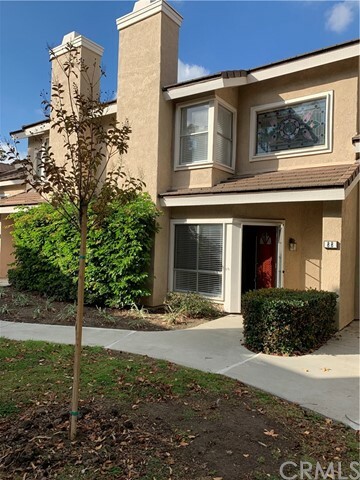 This cozy condo is in the heart of Irvine inside the Loop within walking distance of Alton Square Shopping Center and a short drive to IVC & Woodbridge High School, and Springbrook Elementary. 1 car garage with private balcony, vaulted ceilings, Newer laminate floor & paint, and new remodeled fireplace, new counter top & New faucet and new sink in kitchen & two rest room. new light fixture in two rest room. this cozy home is ready for move in. Woodbridge is one of the most desirable communities in Irvine featuring resort-style amenities including 2 lakes with sand beach lagoons, boating & fishing, 20 pools, 20+ tennis courts, basketball, volleyball, playgrounds, parks, fitness course, and a multitude of family-friendly activities. Local elementary school has Montesori program. No Mello Roos and low HOAs." "Sharp 2nd level Stonegate condo w/ living room featuring a slight vaulted ceiling, cozy gas fireplace and dining area! Large 2nd level deck through 8' Sliding doors with greenbelt view directly off of living area providing supplemental outdoor living space and light. Inside unit washer/ dryer, (provided) and triple mirrored wardrobe doors feature a dimension of extra space to master suite! Detached single garage, (around corner) and nearby carport provide adequate covered parking for your vehicles. Community pool/ spa/ picnic area, close by for your recreational use!. Close to freeways, shopping, Irvine Unified schools, as well as possible access to the Woodbridge Lake & Beach Club!" "This EXTENSIVELY UPDATED SECLUDED FIRST FLOOR END UNIT CONDO in the Woodbridge Stonegate Community is waiting for you! Surrounded by a green area, situated in the farthest corner of the the tract, this unit provide maximum privacy with the minimal traffic. With two patios, one covered, the inside features a wood floor living room with a tile fireplace, dining area and kitchen. The kitchen has been updated with granite counter top, low decibel dishwasher and dimmable undercabinet lighting. The window over the kitchen sink looks out onto the greenbelt with incoming sunlight in the mornings. Dimmable LED recessed lightening can be centrally controlled and programmed by Home Automation System. All interior doors have been replaced with solid douglas fir doors. The two bedrooms and hallway have been covered with brand new carpet and the master bedroom includes soft reading lights. The master bedroom has totally been renovated with the honed marble floor, glass shower enclosure with subway tiles. Hidden updates include new sealed combustion furnace and AC system that is highly efficient and silent. The new electric panel includes a 50 AMP subpanel in the garage ready for your electric vehicle charging needs. Structured wiring has been installed in all rooms delivering high-speed net working and cable TV. New double glazed windows and sliding glass doors have been installed throughout the house. 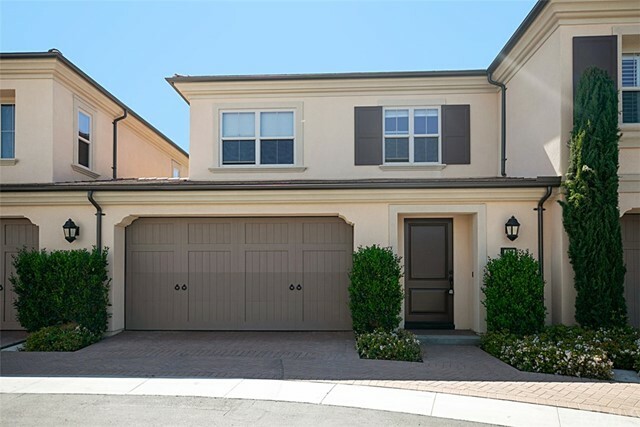 There are one car attached garage plus one car port#39"
"The highly upgraded turnkey single level home located in desirable Woodbridge, Irvine. This upper-level Beacon model home located in the Stonegate community in Woodbridge. Features brand new hardwood flooring, designer fresh paint, marble fireplace, plantation shutters, ceiling fans, vaulted ceilings, mirrored wardrobe doors. Spacious master suite with high ceiling, en-suite master bath. Bright and fresh kitchen with white cabinets, plenty of cabinet spaces, refrigerator, dishwasher, gas stove and microwave. Convenient indoor laundry with side by side washer, dryer and linen cabinets. A private balcony off the living room is excellent for morning coffee or entertaining. Total of two car parking spaces including one garage and one carport. Resort style amenities offers 22 pools, spas, tennis courts, clubhouse, playgrounds, BBQ, Picnic Area, bike trail and much more. Close proximity to South Lake Beach Club, South Lake lagoon, sports fields, shopping centers, restaurants, entertainment and freeways 405, 5, 133, 241, 261 & 73. Award winning Irvine Unified schools."